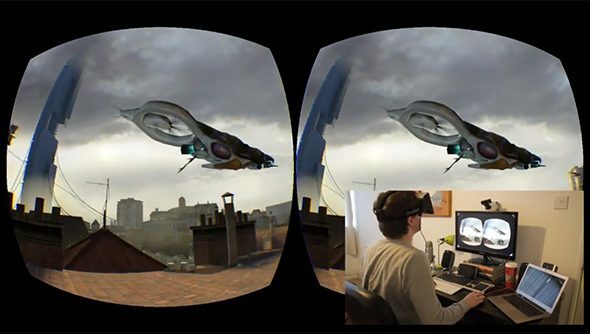 Oculus VR are halting shipments of Rifts to buyers they suspect intend to resell the headsets via eBay. What’s more, users who buy development kits second-hand are “on [their] own” when it comes to customer support. TechCrunch spotted a thread on the Oculus VR developer forum, in which one user linked to an eBay-listed Rift development kit. The seller was taking pre-orders at £499 – considerably more than Oculus’ own price of $350. Oculus were quick to act, cutting off the seller’s flow of headsets. “We found this guy’s order and cancelled it,” wrote Oculus community manager cybereality. “We don’t allow resale of the development kit. The Oculus Rift dev kit 2 represents a major breakthrough in “presence and comfort”, but has been delayed till September. Are you lot still holding out for the consumer version?